You’ve seen the headlines. Traditional and small retail companies struggle to compete and sell their products in the retail landscape shaped by Amazon. You’ve probably heard the raving reviews from the Amazon loyalists who swoon over the speed, convenience, low prices, and vast inventory that the retail giant provides. 1. Ensure high-quality and trustworthy products and reviews. Because of the rapid growth of Amazon’s retail platform and the sheer volume of products sold via its 3rd party marketplace, Amazon struggles to keep counterfeit products and fake reviews out of its marketplace. Users have become wary about the legitimacy of products and reviews on the web because they have encountered questionable goods or content before and have become savvy at spotting fakes. Several users in our recent research for the new 4th edition of the Ecommerce User Experience report series had critical eyes when it came to reading reviews. Small retailers have more control over the quality and legitimacy of their merchandise and reviews than giants like Amazon. Emphasize trustworthy brands on your website. Retailers that carry recognizable brands get extra trust points from users. Consider requiring email confirmation for all posted reviews or allowing only reviews from addresses that have purchased the item being reviewed. Emphasize the high-quality review content available with prominent placement and design treatment. 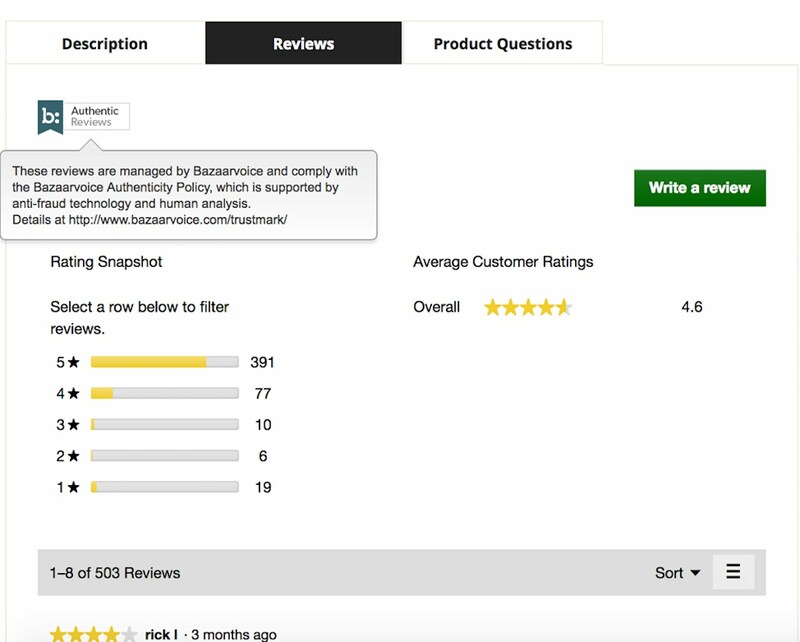 On the reviews page, emphasize your company’s commitment to reputable products and content by including a short mission statement that mentions your company’s efforts to combat fake reviews. 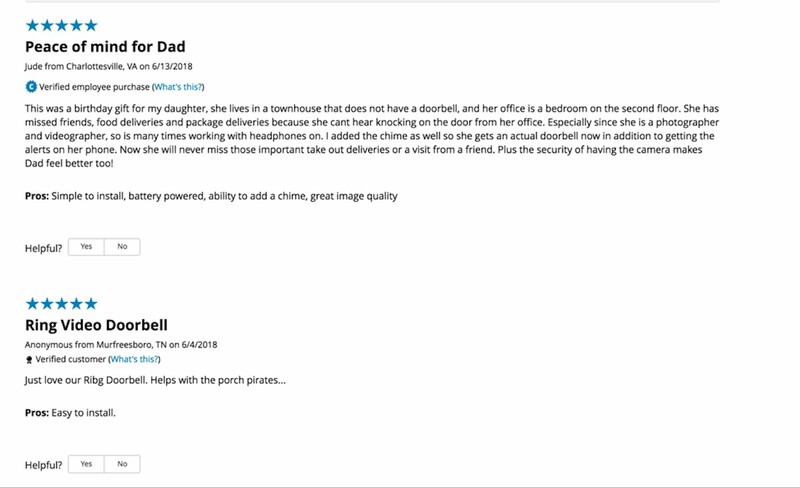 Crutchfield communicated the legitimacy of their reviews by indicating that the reviewer was a verified customer and providing a link to supplemental information about what that meant. BassPro.com used a third-party solution to manage and verify the authenticity of their reviews; it displayed the logo for this service prominently. 2. Reduce user effort and anxiety. Curated inventory and robust search. Providing a small, targeted set of product options can limit the amount of work involved while browsing and comparing options. Site-search features that include carefully customized filters specific for each product type can also help users limit their options to only those relevant to their needs. Informational and easy-to-compare list entries. The job of a category page or listing page is to provide product options to users. List entries should provide sufficient information to help customers quickly identify important attributes and easily make comparisons. 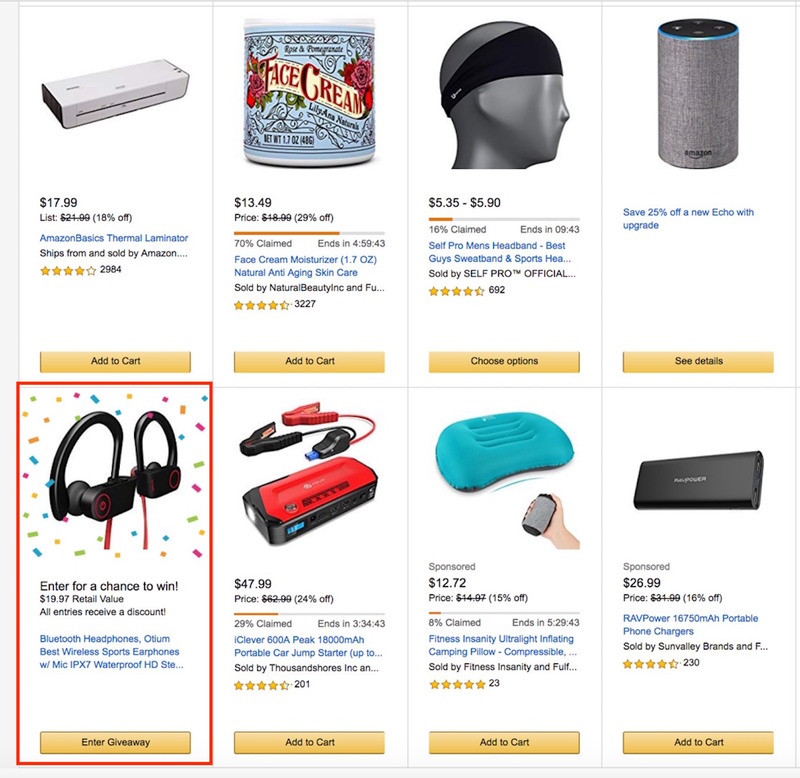 Amazon’s listing page included giveaways which were styled too similarly to other products, confusing one customer who struggled for several minutes to access the headphones’ detail page. Product names on Amazon were often long, confusing, and stuffed with keywords; shoppers had difficulty understanding what the items were. Informational and well organized product pages. Well-designed product pages have an explicit information hierarchy that displays the most-important product information clearly at the top of the page, with secondary information being placed further down the page or within tabbed-content areas. Placing the most-useful information at the top gives people immediate access to it, without searching or scrolling. This information hierarchy should be consistent across product pages to support efficient comparison. Amazon has quality-control issues with the information displayed on its product pages. Because of the high volume of products, many of them posted and sold by third-party retailers, Amazon’s product pages are often inconsistent and the display of information is problematic. 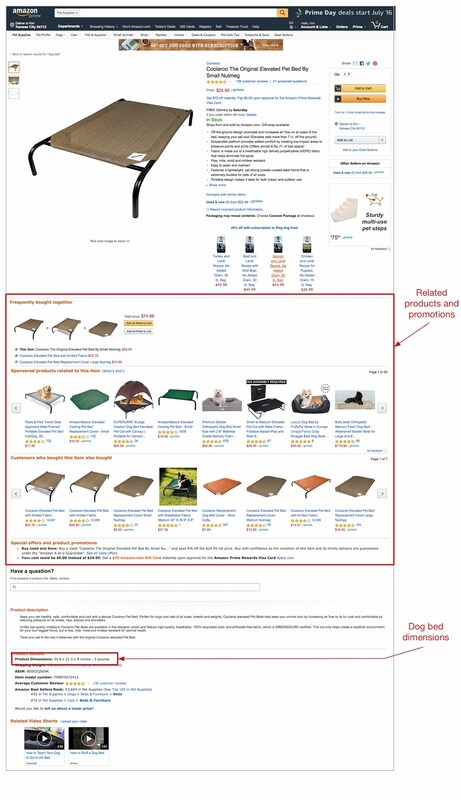 Users became frustrated when furniture dimensions were absent or pushed down below the product summary at the top of the page. One user looking for a dog bed said, “See, this bed has no information about how big it is. How am I supposed to know if it will fit in my space without that. Anything that goes in your home should always have dimensions.” The information was provided at the top of the page for other products, so she expected to find it in the same place for this one, too. Beyond poor information hierarchy, Amazon tries too hard to push other related products. Placing these related items in the middle of a product-description page harms usability. The participant looking for the dog bed did not realize that she could scroll down past the related-product carousels to find size information. The carousels created an illusion of completeness, incorrectly signaling to the user that no more product information was included on the page. These issues and inconsistencies made her search for a dog bed much more laborious than was necessary. Amazon.com: The size of this dog bed was displayed below the related-product carousels and could not be found by a participant in our study. 3. Invest in speed and convenience. It’s no secret: Amazon has got a leg up on other retailers because of its capabilities for speed and convenience. Speed and convenience go hand in hand: what’s fast is also convenient. Amazon makes it easy and convenient to purchase its products — through its Echo smart speakers, its Buy Now (one-click checkout) buttons on product pages, and, of course, through its free 2-day shipping for Amazon Prime members. These benefits attract buyers. What works for Amazon may not work or be feasible for all ecommerce sites. Focus on your customer base and think about how you could make their experience on your site fast and convenient. Easy and convenient reorders. If you provide consumable products that see a lot of recurring orders, promote subscriptions or enable easy- or automatic-reorder features. Speed and convenience benefits for loyalty. Nurture your relationship with repeat customers by providing benefits to loyal shoppers. Many of our research participants were loyal to companies that provide them benefits for being so. One user always looked for products on Target.com first because she earned 5% off by making purchases with her Target card. She also preferred Choice Hotels because, as a member of its loyalty program, she received extra service and benefits. Expedited checkout. Retailers like Barnes and Noble offer quick checkout capabilities to match similar features offered by Amazon. Consider if any of your product inventory would be well-suited for instant checkout for users with existing accounts. 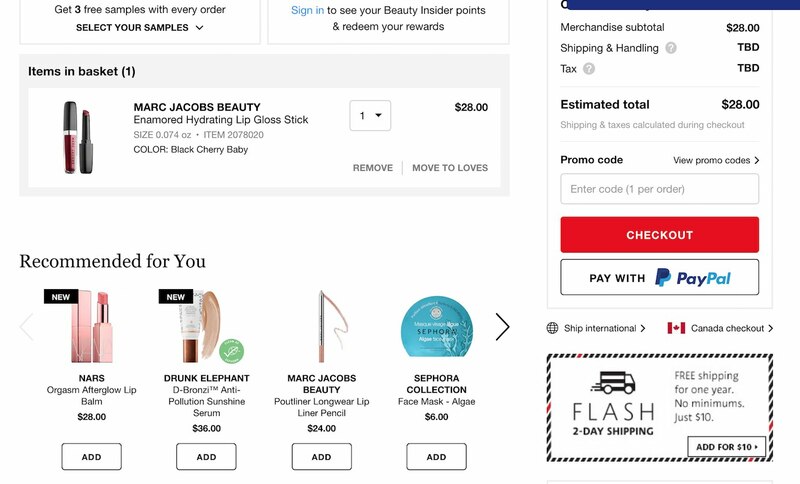 Sephora offered free 2-day shipping for a year for customers spending more than $1000 on its site yearly. Others could sign up for FLASH shipping for just $10. This benefit might be attractive to users who make recurring purchases of their beauty products. A 2017 report on the latest trends in online commerce published by GlobalWebIndex indicated that mobile devices are now very much involved in the customer shopping and purchase journey. Our own qualitative research supports this finding: many study participants discovered products (sometimes by clicking on email newsletters) or researched them first on their mobile devices. The growth in mobile shopping can be attributed to several new developments, including easy-payment technologies such as Apple Pay, Android Pay, PayPal, or Alipay, and the increased use of social media as a shopping channel by both shoppers and brands. Many shopping journeys include using social media to find products to buy. For these reasons, small brands and retailers with niche product inventories are better positioned than Amazon to create the engaging and branded social content that inspires customers to purchase. Inspirational content that shows your products in use pushes users to your site. When they get there, a higher-quality experience than Amazon can turn them into buyers. 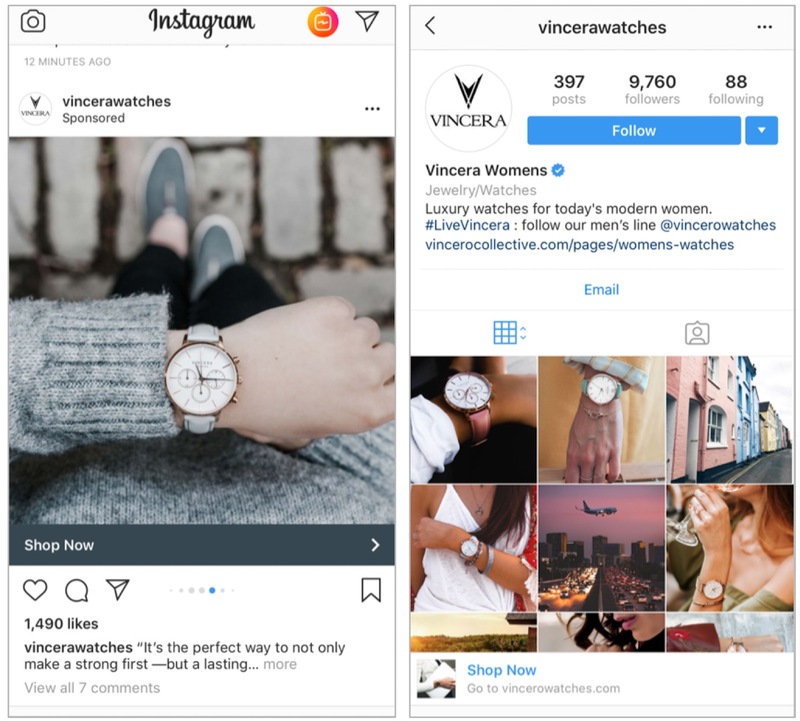 Vincera Watches used social-media channels like Instagram to advertise its products. 5. Provide a high-quality specialty experience both online and offline. Some small retailers with more targeted audiences can enhance the traditional shopping experience with experiential, personalized, and thoughtful touches that set them apart from huge players like Amazon. Offline. Brick-and-mortar storefronts provide users with the opportunity to touch and feel products. They can also host unique events that get customers into stores and foster the communities and the relationships that drive repeat visits and ongoing business. Amazon does not have a wide network of storefronts, and its value is focused more on speed and utility than on seamless, consistent, and delightful experiences. Small retailers and those with a physical presence have the opportunity to beat Amazon at these type of experiences. In-store experiential elements provide extra value for shoppers and attract them to your physical locations. For example, yoga-and-fitness retailer Athleta hosts yoga classes at many of its locations, bringing existing and potential customers into their stores on a regular basis. Joann Fabrics offers a Creator’s Studio — an in-store space where customers can select from a variety of craft projects to do right there. This type of project experience will likely bring in new customers and, of course, will promote sales of items and products from the store for use in the projects. Cosmetic brands like Mac, Estee Lauder, and Bobbi Brown have introduced digital makeup mirrors in stores and online using augmented reality to allow users to virtually try on hundreds of makeup products and looks with the touch of a button. Online. Specialty and experiential elements can by implemented online as well. Indochino, a men’s suiting retailer, has showrooms where it offers a premium experience complete with custom measurements, selection of lining material, and even choice of monograms inside each piece. 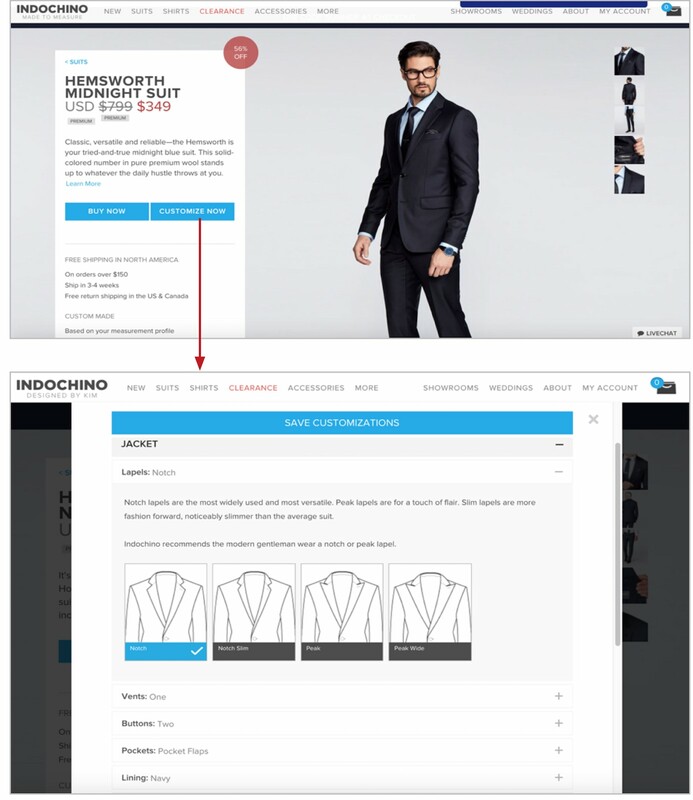 However, Indochino has created the same custom showroom experience for online shoppers. The web site allows customers to select all of the details of their garments through a well-designed customization tool. Indochino’s suit-customization tool offered the same options and quality of experience that customers received in a showroom. The Indochino suit arrived thoughtfully customized in a nicely packaged box that perfectly concluded a consistently delightful experience. A customer who setup an recurring shipment with pet-supply company Chewy.com received a hand-written welcome post-card from the company, a very human and thoughtful added touch. Amazon cannot match these kinds of experiences — especially when they include in-store touchpoints. It may have selection and convenience, but it lacks a modality to seamlessly continue the interactions offline. Add specialty experiential components to the various touchpoints included in your customers’ shopping journey. 6. Value your customer, be human, and provide great customer service. Great customer service doesn’t just happen over the phone. On the web, good customer service means easy access to well organized, useful, and comprehensive customer service and support information — including a phone number to call. In our research for the fourth edition of our Ecommerce Customer Service report, we observed many users as they worked through customer-service–related activities. For our participants, calling was often a last-resort solution: they strongly preferred to find answers to their questions on their own. In fact, a study conducted by the research and advisory group CEB and detailed in its book The Effortless Experience indicated that nearly 58% of customer-service calls come from website visitors who tried but were unable to resolve their issues online. Empower your customers to self-serve, thus making them feel confident and cared for by your organization. Customer-service information should not be an afterthought: make sure that it is current and usable. Furthermore, if customers do have a question that requires a phone call, they expect to find a phone number easily. Companies who try to reduce costs by making it difficult or even impossible to find a phone number on the website are shortsighted. Hiding the phone number frustrates users and taints their perception of the company. Amazon.com does not provide a phone number on its website. One user in our research tried locating a phone number for a question that was not answered in the support materials on the site. She searched for about 5 minutes through the help information to no avail. When she eventually found a Contact Us page, she had to say in advance why she needed help, but the option to call the company was disabled for her particular issue. She then attempted to change her selection to another one that would enable the Phone button. Once she finally made the Phone button active, she was asked to log in before proceeding, but she struggled to remember her password. 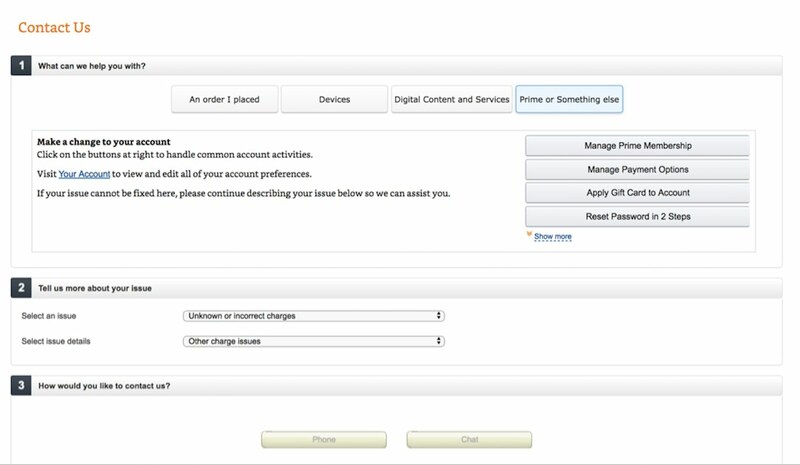 Amazon.com: The contact-by-phone option was disabled for the issue our study participant had encountered. Finally, after failing to find a phone number on the laptop, she decided to move to her mobile device because she knew she was already logged in on the Amazon app. She navigated through the help section again, only to find that the phone option was still hidden and the company required users to enter their own number to receive a call back. 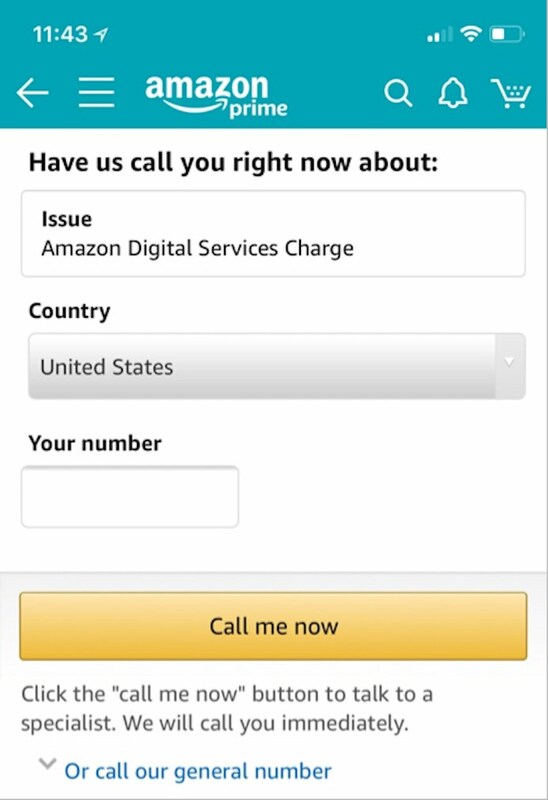 The contact page on the Amazon mobile app asked users to provide their own phone number to be called, instead of displaying the customer-service phone number. She said, “Wow, that was way too hard to get to, and what if I don’t want to talk to them right exactly now? They still won’t show their phone number, that’s crazy. I bet if I went to their Investor Relations page and I wanted to give them money, I’d find a phone number right away.” She then proceeded down that path and found an Investor Relations Contacts page that provided a phone number. This user’s perceptions of the brand were negatively influenced because she felt that Amazon was being unscrupulous, it didn’t care about her, and was more focused on profits than on customers. Amazon has effectively disrupted the traditional ecommerce landscape in recent years. Its size and the breadth of its content are among its strengths, but are also the source of many of its weaknesses. Your site will no doubt be smaller than Amazon, and you can turn this fact into your strength, though tactics like high-quality content, curated selection, consistent product descriptions and comparisons, seamless specialty experiences, and nondehumanized service. Savvy retailers focus on delivering exceptional experiences in ways Amazon cannot, rather than trying to beat Amazon on its own turf. Dixon, M., Toman, N. & Delisi, R. 2013. The Effortless Experience: Conquering the New Battleground for Customer Loyalty. London: Portfolio Penguin. What’s the role of the Product Design in the Digital World?